Okay so if you don't already know how I feel about Little Bao, I'll tell you now. I feel SERIOUSLY good about it. Now why am I talking about Little Bao in my post on Second Draft you ask? Well let me tell you... With the brilliant chef May Chow being the mastermind behind this ever popular and oh so delicious Bao joint in Sheung Wan, I didn't need any more convincing to visit Second Draft when I discovered that she was behind it.Second Draft is a chinese gastropub (located in Tai Hang) serving up delicious casual food with a flare of both Chinese and western cuisine. Seeing as May Chow mastered the colliding of both dim sum (Bao) with burgers, it's no surprise that she nailed it once again! Think buffalo chicken wontons to Reuben sandwiches topped with pickered cabbage and ginger dressing.... must I go on? With a casual vibe, an extensive beer list and some tasty cocktails up their sleeves Second Draft is the perfect place to stop in for a drink, a few nibbles or the whole shebang! Any cumin fans out there? Well you are going to LOVE these slightly spicy fries that are cooked perfectly and lightly dusted with cumin! I was mad about these bad boys and not shy in the slightest of dunking them in their tasty dipping sauce (think chipotle mayo but WAY tastier). Side note, don't eat the dried chili garnish... that guy is spicy! So it's no secret that this guy LOVES dumplings and anything that resembles them. These guys were no exception. 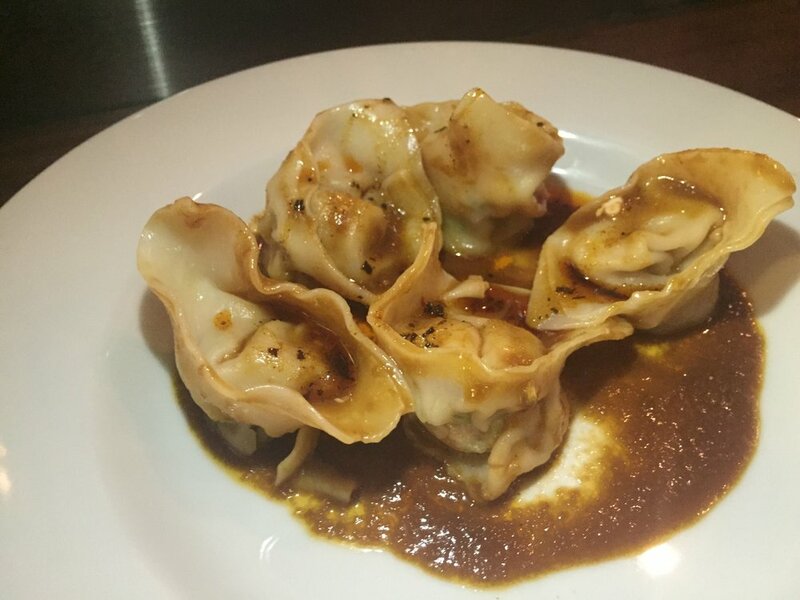 Stuffed with three yellow chicken that was super moist and flavorful, chinese celery and buffalo sauce, these bite sauced wontons were definitely omnomnom. This one was yet another goodie! These asparagus and mushrooms were cooked perfectly in a sweet soy sauce and topped with an onsen egg. So yeah... she was good. I mean come on, just look at that yolk, what more could you want? Okay, so this sandwich was everything... I'm not joking. The smoked pastrami was so tender and packed full of flavor then topped with Swiss cheese, pickled cabbage, ginger dressing and sandwiched between perfectly toasted beer bread. YUM. The pickled cabbage and ginger dressing gave it a nice flavor and added some good crunch! Once again May Chow nails the sandwich game hard #nosurprise . So dieters if your looking for a cool casual joint for a drink and some seriously tasty eats? 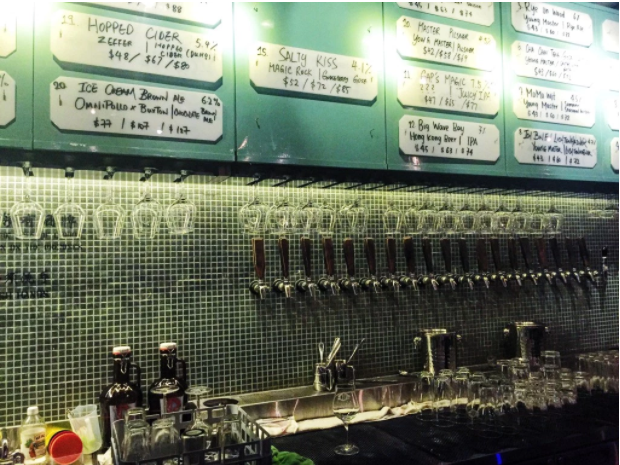 I highly suggest you make your way down to Tai Hang!